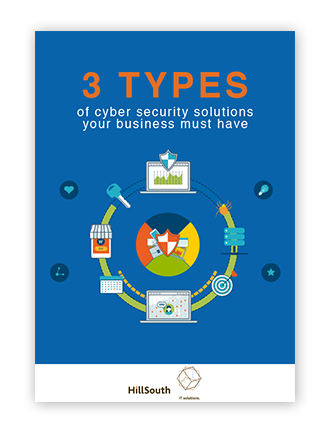 Our FREE eBook covers a comprehensive list of affordable cyber security solutions to keep your business safe from malware and data breaches in a time when doing so seems impossible. How can I protect myself from cyber attacks that haven’t been discovered yet? I’ve been using the same anti-virus software for a few years, so why should I upgrade? Do my employees really need cyber security training? How can my small business possibly afford multi-layer network protection? Modern cyber security is evolving at a breakneck pace. On top of setting up a system that works today, you need solutions that can also adapt to whatever tomorrow has in store. With this FREE eBook, you get future-proof advice on what to look for in an IT provider, and how to get it on a budget. HillSouth built a network infrastructure plan for Loris [new location] that met all of Wilson Senior Care’s requirements. From start to finish, HillSouth was there to meet our goals for our Loris facility and has been supportive to our other facilities as well. Our relationship with HillSouth began just a year ago. The representatives of HillSouth have been very patient and attentive to our needs. We have always felt like HillSouth cares about our success and we are not just another number. It has been reassuring knowing someone has our best interests at heart. ©2019 HillSouth iT Solutions All Rights Reserved.